Roscommon based Traditional group Gatehouse have gone from strength to strength since the release of their critically acclaimed solo album, “Tús Nua”, in 2016. The album received a 5 star review from The Irish Times and was shortlisted for their album of the year. 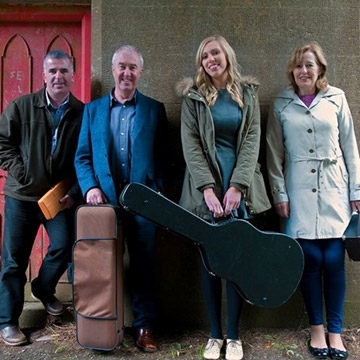 Since then, the group which is made up of Rachel Garvey, Jacinta McEvoy, John McEvoy and John Wynne have been busy touring Ireland, the UK and Norway and now make a welcome return to the local stage. Gatehouse consists of - John McEvoy (fiddle/viola), Jacinta McEvoy (guitar/concertina, Rachel Garvey (vocals), John Wynne (flute/whistles).